I have three best friends. The four of us have been friends since elementary school. Three of the four of us got married within days of each other back in 2007. Then last year we found out that Jenny was pregnant. We were all so excited to be aunties to Jen and Jordan’s sweet baby. Little did we know what God had in the works! A few weeks later Ashley called me to tell me that she and Dan had a bun in the oven also! After hearing this news, I called Jessi, we squealed and that was that. Well, not really. Just weeks after that phone call, Rudy and I found out we would be welcoming a new person into our family too! I couldn’t believe that all three of us were pregnant at the same time. Now, Jenny’s boy Corbin, is 5 months old, Ashley’s girl, Finley, is 4 months and Noah is 3 months. 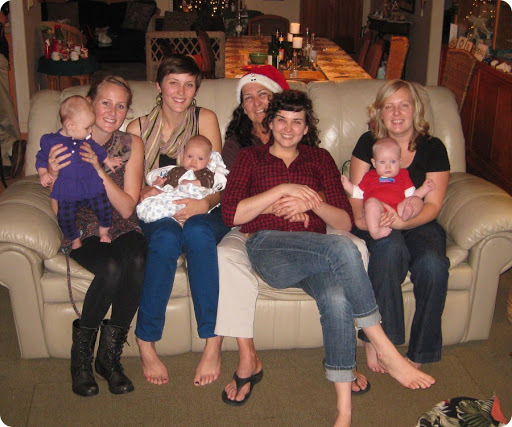 While we were in California, Jessi’s mom Margi invited all of us, our babies and our husbands over for dinner. Here are a couple of pictures from the night. 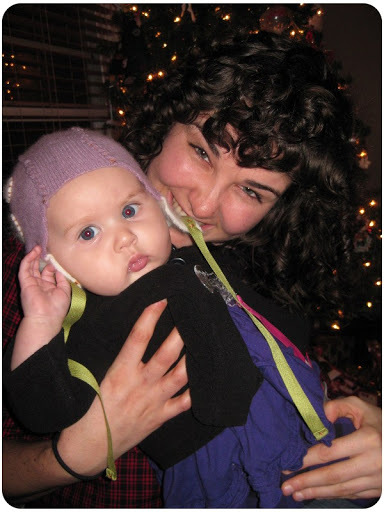 I love the top one with Jessi, Margi’s baby, sitting on her lap. I miss you girls like crazy. There is nothing like the friendship of someone who has known you for most of your life. Next > Two cute things.